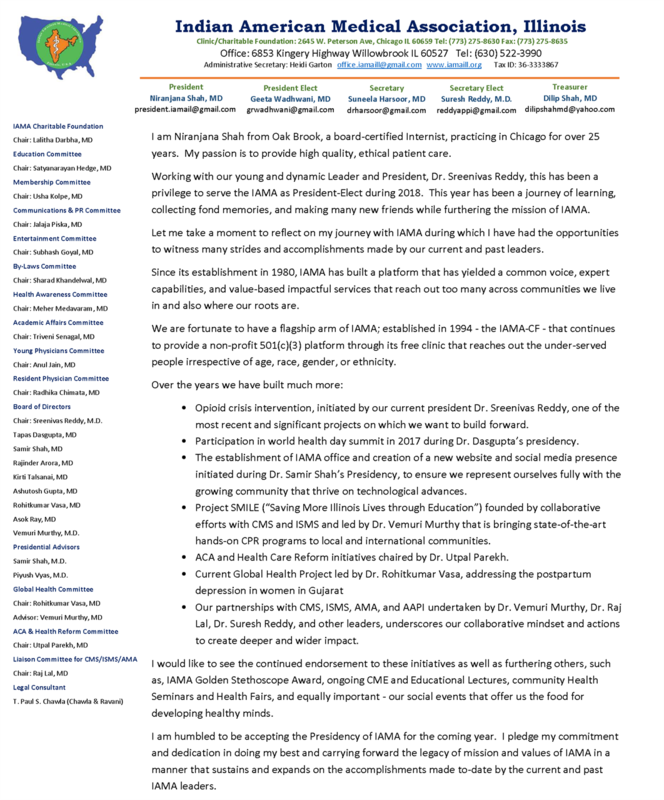 IAMA-IL is a non-profit professional organization comprised of Illinois Physicians of Indian Origin committed to professional excellence in quality patient care, education and community healthcare. Promote professional solidarity in the pursuit of excellence in patient care, teaching and research. Bring to American medicine the distinctive contributions from India. Our motto is Unity of purpose, collegiality in action, commitment to excellence and compassion towards fellow beings. Serving the needy through its Charitable Foundation. 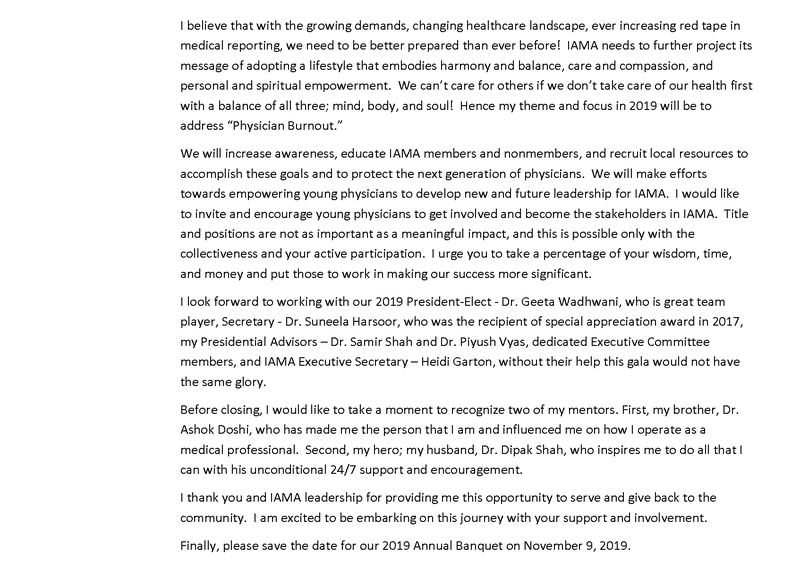 Support and encourage medical students, residents, fellows and young physicians in educational activities, scholarship and practice development to realize their future goals.